The Czech & Speake Gentlemen Leather Collection has been designed with today’s dynamic gentleman in mind. 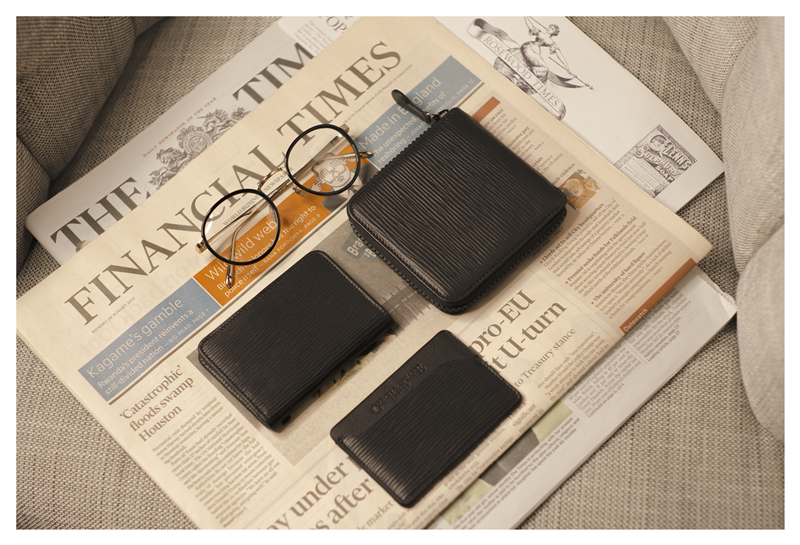 Created from a background of decades of English heritage experience imaginatively adapted for an active social cosmopolitan lifestyle, the range includes three types of practical, elegant wallets and three sizes of travel wash-bag. These seven items provide a complete solution to accommodating cards, notes and on-the-go grooming essentials, whether for suit pocket, weekend bag or carry-on. Our followers are discerning men of immaculate style who value luxury craftsmanship and tradition, fused with innovation and authentic British flair. Every piece in our leather collection is constructed from luxurious Italian calf leather subjected to an elaborate finishing process, renowned for its softness, fine grain and durability. This finish helps the exterior withstand wear while providing a subtle tactility. Czech & Speake has worked with traditional English tanneries to elaborate the signature look for our first gentlemen leather collection, to ensure a dash of refinement even in less formal settings. While the wallets are made of fine leather inside and out, the wash-bags are lined with our distinctive, contemporary granite interior cloth, which has been treated with a hybrid water resistant wax especially developed for Czech & Speake in Scotland. The Czech & Speake man, charming and gallant, is a dynamic gentleman, constantly on the move. Whether travelling for business, heading for an all-important match at the club, or just putting together the sartorial necessities, he demands a light and functional carrier for his cologne, toiletries, and grooming set. The gentlemen leather collection is available in red or black leather and includes seven pieces: Single Cut-Out Card Holder, Triple Card Holder, Foldable Card Holder, Zip Around Wallet, Small Wash-bag, Medium washbag/Magnetic Wash-bag and large Gentleman’s Travel Case. The story for the campaign is the gentleman travelling on business or for pleasure with his Czech & Speake wash bags, wallets and grooming essentials. The campaign was shot on location at the Rosewood London, with whom we have had a long-standing collaboration over the years, providing the bathroom amenities for their luxury suites. The gentlemen leather collection is available here for orders worldwide. Previous post: Czech & Speake are Revolutionising Men’s Grooming. Here’s how.